As an employment law firm, we have significant experience assisting employees who have been wrongfully dismissed. But there are cases in which an employment lawyer cannot assist, or cannot assist to the same extent, due to a mistake which the employee made during the course of his or her employment. So, what are the 5 most common mistakes? The number one employee mistake earns its place due to the fact that it completely eliminates the ability of the employee to claim any damages (notice, human rights, compensation owing) in a court of law or other forum. 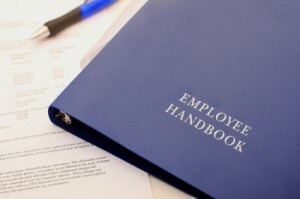 Many employees sign off on inadequate severance packages, which are accompanied by a “full and final release”, barring the employee from pursuing an action against the employer for any issue arising from their employment, simply because they do not possess the legal knowledge to assess the package as such. The test, as laid out, is a high threshold, furthering the seriousness of signing an inadequate release. For these reasons, signing off on an inadequate severance package is our number one employee mistake. There are times in an employment relationship when the employment environment has become toxic, to the point where the employee feels as though he or she cannot continue working. While a case of constructive dismissal can still be established even if the employee resigns, it is only advisable in extreme situations given that it makes entitlement to notice significantly more difficult to establish. An employee who clearly resigns when he or she is simply not happy with a general employment concern, such as an irritating co-worker or the delay of a raise, has made a major mistake. Consider, for instance, the recent decision of Kerr v. Valley Volkswagen, 2014 NSSC 27 (CanLII) wherein the Plaintiff gave his employer an ultimatum: give me a raise in three weeks, or I quit. The employee continued working and did not receive a raise. His employer then informed him that he accepted the offer of resignation. When the matter proceeded before the Supreme Court of Nova Scotia, it was found that the Plaintiff had resigned and was not entitled to damages. A clear resignation eliminates an employee’s entitlement to notice, on both a statutory (ESA/CLC) and common law (As high as 4-6 weeks per year of service) basis, but a resigned employee is still able to pursue other damages (human rights, etc.) making this our number 2 employee mistake. Our third employee mistake is not surprisingly common. Many employees do not seek legal counsel with respect to a demotion, decrease in their hours or compensation, or human rights and harassment issues within the workplace. According to A Roadmap for Change: Report of the National Action Committee on Access to Justice in Civil and Family Matters (October 2013), over 20% of the Canadian population does not take action (finding a lawyer, filing a report or complaint) when confronted with a legal issue, citing cost, time, and fear of the implications as reasons for their inaction. The effects of such a decision can be detrimental, particularly in human rights matters. For complaints before the Human Rights Tribunal of Ontario, Applicants have one year after the incident to which the application relates; or, if there was a series of incidents, within one year after the last incident in the series as per s.34 (1)(a)(b) of the Ontario Human Rights Code, R.S.O. 1990, c.19. For matters before the courts, an employee claiming wrongful dismissal damages or compensation owing would generally be subject to the basic two year limitation period under section 4 of the Limitations Act, 2002, S.O. 2002, c.24. Because of the time-sensitive nature of litigation, a decision not to deal with a legal issue can and will result in a statutory bar against a legal action, making this our number three employee mistake. Another major employee mistake is failing to address issues as they arise. Harassing behavior from a co-worker is a great example of this. In Howard v. deRuiter 2004 HRTO 8, the Applicant, a Probationary Constable, filed a complaint with the HRTO for harassment on the grounds of marital and family status, alleging that several of the senior officers with her employer, the York Regional Police, specifically her trainer, Constable Henry deRuiter, had subjected her to sexist comments, remarks and had conducted themselves in such a manner as to “intimidate and harass” her. When the matter proceeded before the Tribunal, it did not find that harassment as per the Code had been established. While it found that the Applicant’s account of the events which occurred during her employment might have resulted in an “inappropriately sexualized workplace” it did not find that the actions led to harassment, noting that there was no establishment that the accused individuals knew, or ought to have reasonably known that their conduct towards the Applicant was unwelcome. If the Applicant had possessed written documentation of conversations in which she addressed the behavior as unwelcome, or had she submitted an internal complaint and had the matter investigated at the onset, she might have been more successful at the Tribunal. For these reasons, failing to address issues as they arise is our number four employee mistake. Particularly when a claim is measurable (overtime owing, or termination resulting from performance issues), having written documentation or records to support your case are crucial. An employee cannot support a claim for 400 hours of overtime if there are no records of that time being worked. And Defendant employers are not likely to dig up the information unless production is ordered. Even if a Plaintiff employee is able to secure such an order, its enforcement can be difficult, resulting in additional expenses and time wasted. In matters wherein performance issues are concerned, employees who have records of steady sales or glowing customer/client comments are less likely to be found terminated for cause. Even having a copy of previous performance reviews, along with employee comments, is a helpful step in diminishing accusations of a termination for performance issues. Correspondence between employees and supervisors/management in this regard are also helpful. Without adequate documentation, employee and employer are effectively left in a “he said/she said” scenario on the stand, which is not ideal for successful litigation. For the reason that this is an easily avoidable and common mistake, it ranks fifth among our top employee mistakes. As the above information demonstrates, these employee mistakes are common but ultimately detrimental to a legal claim. If you ever find yourself in a situation where you are unsure what your rights are, or whether you may have a legal basis to proceed against your employer, it is best to contact a professional. Contact Monkhouse Law today for a free consultation.